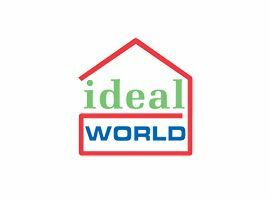 Ideal World is a shopping channel in the UK whose sister shopping channels include Ideal Extra, Create and Craft and Craft Extra. It is owned by Ideal Shopping Direct Plc.Their sister health and beauty channel, Vitality, closed early in 2008. Ideal Shopping Direct also sell plants and flowers through Garden Bargains.com and pet and pet supplies/accessories via lovepets.co.uk (formerly known as Animal Bargains.com). The channel broadcasts from its studios in Peterborough. Ideal World currently broadcasts live 17 hours a day, with Create and Craft live 9 hours a day. Founded in the 1980s as a mail order company selling products via national press adverts and consumer exhibitions The company was then called Wrightway Marketing and was run by Paul Wright and his business partner Val Kaye. The company later produced its own catalogues, inserted into the Daily Mail, and sold at the Ideal Home exhibition. As the television side of the business re-grew, sales in the catalogue business slowed down and became insignificant in their contribution to the company, and the catalogue business was wound down in order to fully concentrate on selling on TV. A catalogue-style website, ´Ideal World Essentials´, was produced for a short time featuring essential products for the home; this has since been closed and now links back to Ideal World itself. The company was taken private through an acquisition by Inflexion Private Equity in 2011. The £78.3m deal was announced in April 2011 and completed in June when the company was delisted from the AIM stock market. In February 2012 Ideal acquired Internet site Createtoday.com and made their second acquisition in May 2012 when they acquired knitting Internet retailer Deramores. On 24 August 2012, ´Ideal & More´ was renamed as ´The Deal Channel´. Since October 2013 it has been rebranded as Craft Extra. On 1 November 2012 "Createtoday.com" was relaunched as "mydoodle.com" with a revamped website and product offering to focus on high quality greetings cards and wall art.